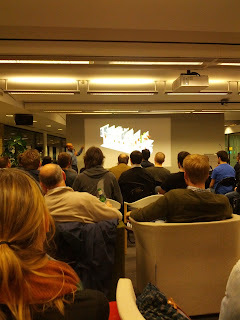 Last week I was invited to attend a talk that was organized by Facebook. This was my second time attending Facebook organized event now. The first one (the one I won’t talk about) was really interesting - about CPU Caching and other secret ninja stuff how to write performant code :). The later one was mainly about having scalable architecture (like hardware) and savings due to their improvements compared to standard approaches. This talk wasn’t so interesting because I am more software guy than hardware (it’s not that I don’t like hardware - I like it, but I find software more enjoyable).